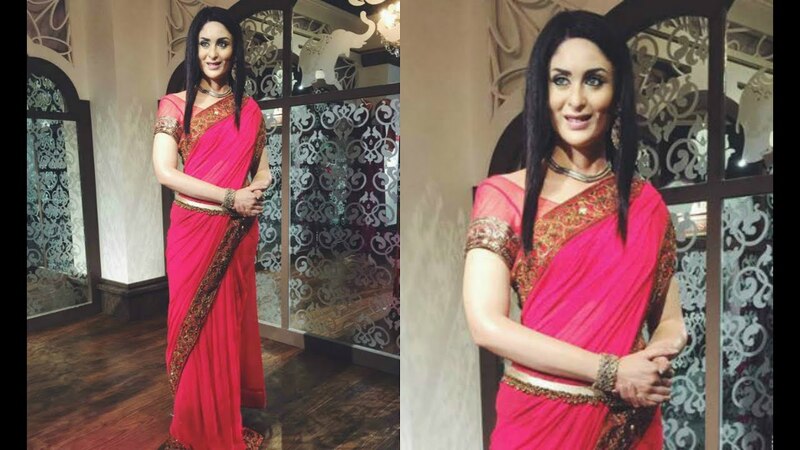 Madame Tussauds Spoils the Statue of Kareena Kapoor by Making Her Look Like She's 70 Years Old. Usually its a wonderful feeling when Madame Tussauds decides to design a statue of you to place it for public viewing. But things went for a toss with our hottie, Kareena Kapoor. This is what exactly happened with Bollywood hottie Kareena Kapoor when the management committee at Madame Tussauds, Singapore decided to display her statue in their museum. Little did she knew that her statue would look like a future version of herself. Madame Tussauds Singapore has achieved an unbelievable feat. They have made Kareena Kapoor look like she is almost 70 years old. We don’t deny the fact that Actor Kareena looks too damn gorgeous in the traditional Indian sari and especially that the red one is making her look too damn hot. However it made her look loaded-up with wrinkles.To cover up for the blunder, they tried to change her sari and her hairstyle again. But it added fuel to fire and worsened the situation a bit more. Although they have managed to bring out the features exquisitely, the wax replica doesn’t bring out the real charm of the actress. It’s no doubt that the real-life Kareena looks much more gorgeous isn’t it? She is undoubtedly one of the popular actresses of Bollywood. It’s a pity that they have failed to bring out Kareena’s original smile and her lovely structure as well. Isn’t it a shame that they have failed at something that is so easy to obtain. Woo-Hoo the good news is that her Statue in Madame Tussauds, London is better and looks more like the original Bebo! What do you think guys? Let us know in comments below. Previous articleThis Dubsmash Video Proves That Kings XI Punjab Is The Most Entertaining Team.